Repeat clients are the best. We first worked with China Partnership the refresh of their brand identity design 2014. It was fun to re-engage and see that our work is still serving them well. With the upcoming release of their first book, they asked us to design promotional materials including a trade show booth, collateral pieces, and website refresh. China Partnership's new book is about their work with the house church movement in Chinese cities. China can be a challenging place for people of a Christian faith tradition, so we’re happy to play a part in the promotion their work. This month, the Cincy Flags design team started to present their designs to neighborhood councils around the city for feedback. Chris Glass and I (D.J.) worked on seven neighborhood flags; Lower Price Hill, East Price Hill, West Price Hill, South Fairmount, Riverside, Sedamsville, and Sayler Park. Visit cincyflags.com to have a look and vote for your favorites. The top flag for each neighborhood will be selected and presented later this year or early next. All of the designs will be open source and available entirely free to use by the community. It’s exciting to think of the flags hanging from peoples porches or a recreation center flag pool. Back in May (2018), we worked on the brand identity design for School Board School with Elisa Hoffman during a People's Liberty launch day. Elisa’s daughter liked the School Board School design so much that she asked her mom if Trischler Design Co. design would create a logo for her Kindness Club at Kilgour Elementary. Of course, we said yes. The design process began with a meeting with Lily Hope to learn about her club. It’s quite moving to hear an elementary school student speak about spreading kindness. Together, we decided the logo should be playful, optimistic and welcoming. Lily Hope shared some logos and typefaces she had gathered as inspiration. We collected Lily Hope’s thoughts and came up with the solution pictured above. The decision was made on a typographic solution so that it could be easily shared. Lily Hope has ambitions of the club spreading to other schools in Cincinnati and beyond. The type is bold, unique, and fun. The goal is the brand to stand out in the hallways of an elementary drawing much deserved attention to Lily Hope’s wonderful group. We're designing a second logo for Lily Hope. It will be for her G.I.R.L.S. Book Club. Stay tuned for more in December (2018). 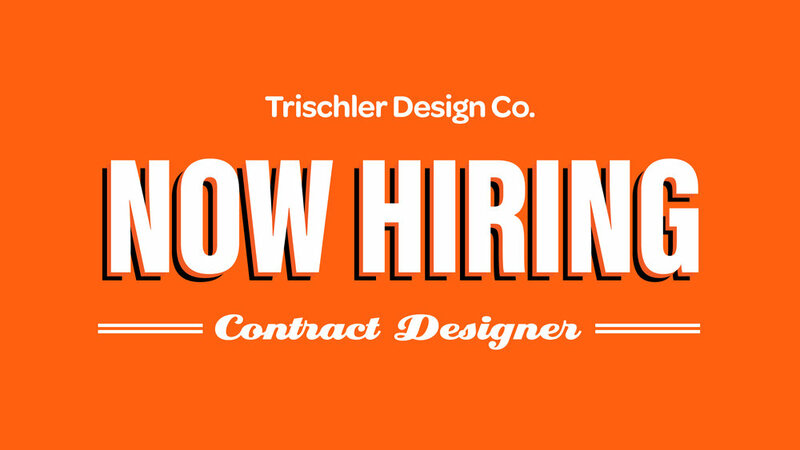 We’re exploring what it would look like to contract a young graphic designer for two half-days a week (8-10 hours total). Hopefully, the need would increase, but we’re starting with baby steps. Ideally, the person would have typographic skills, a handle on the creative suite, and some experience with Squarespace. If you’re interested, click the button below.